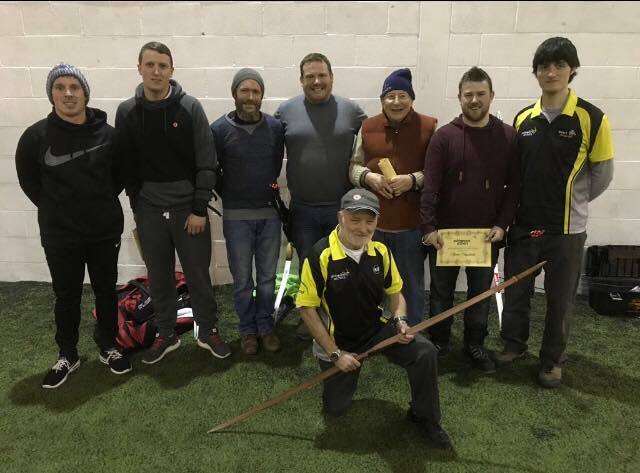 Ashbourne Archers is a Target Archery Club based in Donoghmore Ashbourne GAA Club, in Ashbourne, Co. Meath. Our club is affiliated to Archery Ireland and we train every Tuesday night from 8:00pm to 10:00pm. We offer beginners a 6-week introduction to archery course which is provided by accredited Coaching Ireland coaches. For more information see our beginners course page. We also extend a warm welcome to Archery Ireland members to come and shoot alongside us. Our first beginners group of 2018 were presented with their certificates on Tuesday, 20th February, having completed their 6 week course. Many thanks to the coaches for all their hard work over the last few weeks.